What does a great 401(k) plan look like? The editors at Bloomberg compiled a list ranking the workplace retirement plans of 250 of the 500 largest companies in America, according to the Standard & Poor's 500 index. It offers a juicy peek into the defined contribution plans of some of the country's biggest employers. Other lists such as Brightscope's Top 30 401k Plans List examines the top plans containing more than $1 billion in assets. Warning: Reading these types of lists may give you a bit of 401(k) envy. Consider the generous plan topping the list, for example, from ConocoPhillips. It offers a potential 9 percent employer match with no vesting period. Plus there's an additional employer or profit sharing contribution of between 6 percent and 9 percent. Phew, that's a good looking plan! 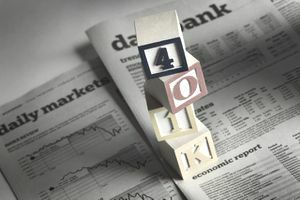 In general, the best 401(k) plans tend to provide generous company matches and offer a large menu of low-cost index funds and set-it-and-forget-it target-date funds. The good news is that even if you don't work for a company that tops recent 401(k) plan lists, retirement plan sponsors are continuing to focus on lowering costs which will lead to increased retirement savings for participants. What exactly makes one plan better than another? 1. You Can Start Investing in the 401(k) Right Away. A great plan is one that offers immediate eligibility. In fact, some employers automatically enroll new employees in their plan. 2. There Are No Restrictions on How Much You Can Contribute. The Internal Revenue Service sets limits on the amount you can contribute to a 401(k) or similar plan each year. In 2017, for instance, the maximum amount you can put into a 401(k) is $18,000, or up to $24,000 if you are age 50 or older and making catch-up contributions. You should be able to max out your plan if you want to, but some companies set their own limits that are lower than the guidelines. Some employers even restrict catch-up contributions, which are designed to help individuals to accumulate more as they near retirement age. 3. There Are Many, Varied Investment Option to Choose From. You may not use most of the investment options in your 401(k), but having them there can help to reassure you that you can invest in the way you choose. There should be plenty of low-cost, no-load mutual funds to select from, including both index and actively managed funds. 4. The Employer Matches Your Contribution. An employer match of 3 percent to 6 percent of your contribution is like getting a raise on 3 percent to 6 percent of your salary. It's easy money, made easier by employees with very generous matching policies. 5. Plan Expenses Are Low or Covered by the Employer. It's not easy to figure out what you pay for your 401(k), but some employers cover the cost of the plan itself while others pass it on to employees. The less you pay for your plan and the investments within, the greater your savings potential. 6. Loans Are an Option. This is not to say that a loan is a good idea, but if you are in a pinch a 401(k) loan is a better option than an early withdrawal. Great plans will also have hardship withdrawal options for those who qualify. 7. The Plan Is Easy to Understand (or Offers Plenty of Education and Guidance). If you are feeling confused before you join the plan or every time you open a quarterly statement, it's not a good sign. Retirement plan administrators have the resources to get investor education right. You should feel free to ask a lot of questions and make sure everything is clear before making plan decisions. 8. There's No Vesting Period. If your employer offers a match but makes you wait seven years before you get the full benefit, how much are you really getting if there is a good chance you may not want to stick around that long? Plans with shorter or nonexistent vesting periods are far more generous. 9. One-on-One Advice Is There if You Need it. Have a question? Want personalized investment advice? A good plan will provide you with a way to get someone on the phone who can help you with such things. You may have to pay extra for the advice, but a good plan will make that clear and keep the costs reasonable. The content on this site is provided for information and discussion purposes only, and should not be the basis for your investment decisions. Under no circumstances does this information represent a recommendation to buy or sell securities.